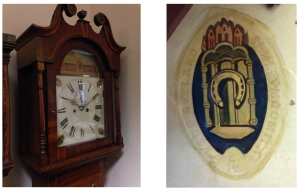 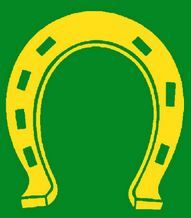 It seem likely that this symbol became associated with the county as a result of the local tradition that visiting royalty, peers of the realm and noblemen would present a horseshoe to the Castle Hall in Oakham, which now houses a large and unique collection! 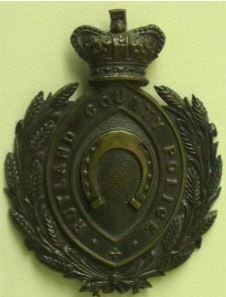 By 1908 Rutland Police were wearing horseshoe cap badges. 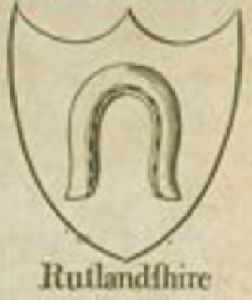 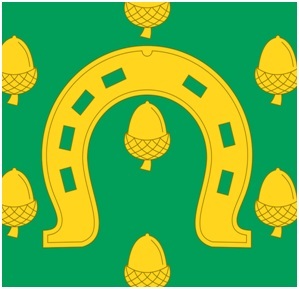 In 1950 Rutland county Council was awarded arms which again included a gold horseshoe against a green field, the latter described as representing the county’s agriculture, especially its rich pasture land. 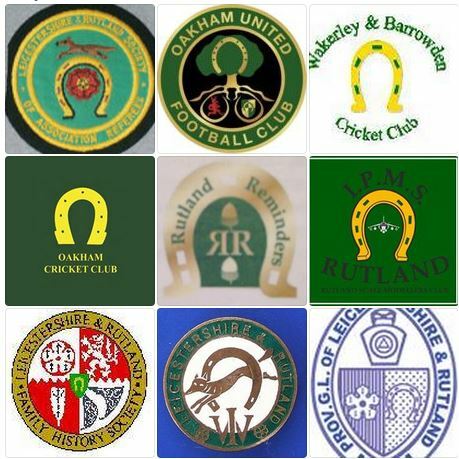 Since then many county organisations, clubs and businesses have made use of the traditional Gold Horseshoe on Green to represent the county of Rutland on their insignia, labeling, and even transport! It is also interesting to note that the traditional depiction of horseshoes in the United Kingdom is with three nails on one side of the shoe and four on the other! 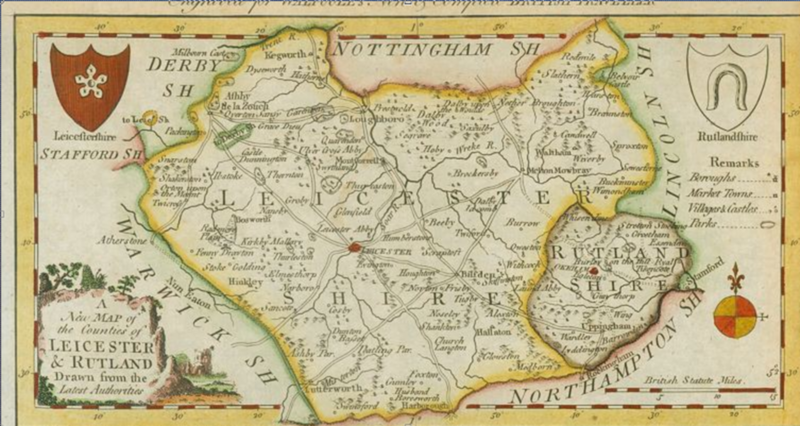 With thanks to Brady Ells for his extensive local research on this topic.